I It takes less than 30 minutes to make this meal (including all the prep time) and it does so in one single skillet. Since you won’t have to clean up multiple pots and pans, you can spend that extra time catching up with your family instead of slaving away over the dishes in the kitchen. And, since the chicken is roasted over a bed of potatoes and vegetables, it’s a complete meal. You’ll get starches from the sweet potatoes, vitamins and minerals from the broccoli, and protein from the chicken. Sounds just about perfect to me! I love one pot meals. I can make it for meal prep for my husband. And this I can add more sweet potatoes and broccoli to make it perfect for the amount of macros he needs. I hope you enjoy this like I did! While lots of buzzy beauty ingredients are more hype than effective, studies have shown that CBD can be used to address skin issues like acne and dry skin. It can also be used to help alleviate symptoms caused by conditions like psoriasis and eczema and can be beneficial to almost all skin types. The moisturizing and anti-inflammation properties have made it a desirable additive to moisturizers and oils, but it’s also quickly becoming a go-to ingredient for makeup brands too. - Rest 15 seconds between exercises. - Repeat the superset 2 more times. - Rest 15 seconds between exercises. - Repeat the superset 1 more time. 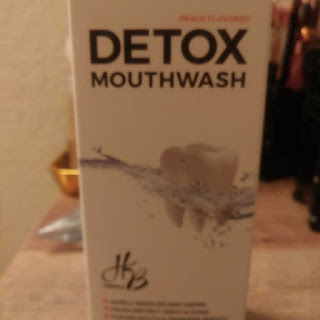 One of the most intriguing and cleansing mouthwash I have ever used. Did you know that your mouth contains over 300 different strains of bacteria? Streptococcus Mutans (s.mutans). S.mutans is the main culprit for cavities, plaque, tooth decay and plain old nasty bad breath and even those of us with the best brushing and flossing routines aren’t protected! Brushing your teeth only reaches about 25% of your mouth, meaning the bacteria can hide out and cause plaque build up in those hard to reach places. A poor diet can also contribute to a build-up of bacteria, as they love to not only feed on sugar but they also use it to help stick to the tooth enamel - which is how plaque is formed. The metabolism of sucrose (sugar) by the bacteria creates lactic acid, which leads to an acidic environment in the mouth, which in turn causes tooth decay. Breakfast – Egg-o-cado All you need is one avocado with the pit removed and 2 eggs. Crack an egg into each half of the avocado, season with sea salt and pepper, and bake at 350 until the egg is cooked to your liking. Lunch – Creamed Kale Heat up some avocado oil in a skillet with some minced garlic and shallots until soft. Add in a can of coconut milk and heat until it starts to thicken. Toss in 5 cups of kale and some ground ginger and cook until the kale wilts for a quick and delicious lunch.